Big Set Cheerful Cute Starfishes With Person And Not Of A Pink, Red, Yellow, Orange, Beige Colors And Black Contour Line Isolated On Blue Background. Клипарты, векторы, и Набор Иллюстраций Без Оплаты Отчислений. Image 94540543. Фото со стока - Big set cheerful cute starfishes with person and not of a pink, red, yellow, orange, beige colors and black contour line isolated on blue background. 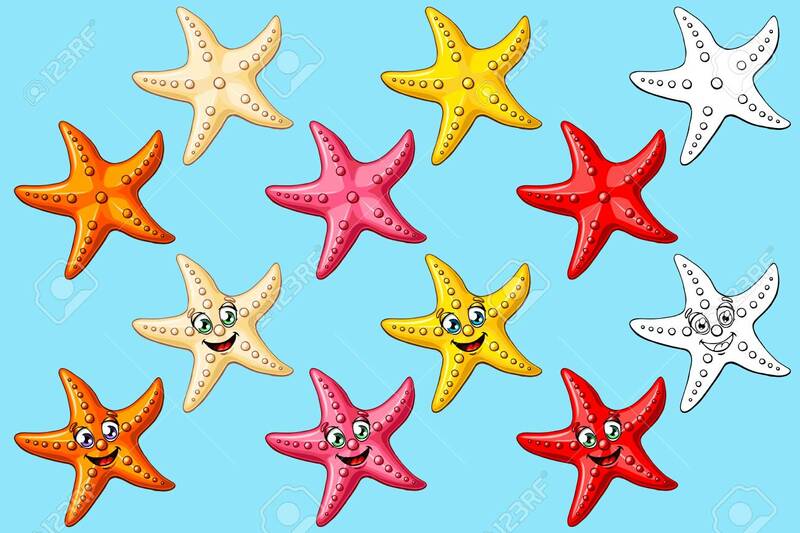 Big set cheerful cute starfishes with person and not of a pink, red, yellow, orange, beige colors and black contour line isolated on blue background.